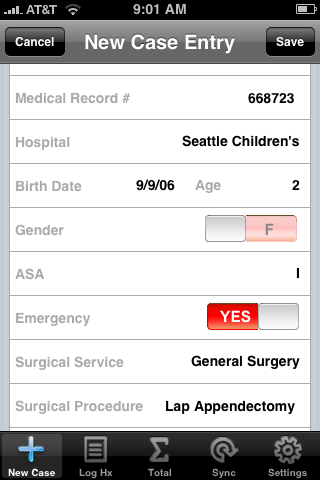 The Case Logs anesthesia logbook makes tracking patients easier than ever. Geared specifically towards anesthesiologist, fellows, residents, CRNAs, SRNAs and anesthesia assistants, you can create, manage and total your case logs on the iPhone. The Case Logs app pairs with the CaseLog Database to provide a secure data back-up so you will never lose your cases again.